A new safari offers whale-lovers a truly incredible experience: The chance to swim with one of the largest gatherings of orcas anywhere on the planet. Alesund city, Norway Orca, Norway. It had just turned one o’clock on a frigid day in January, and already the light was beginning to fade. By 2 p.m., it would be completely dark. 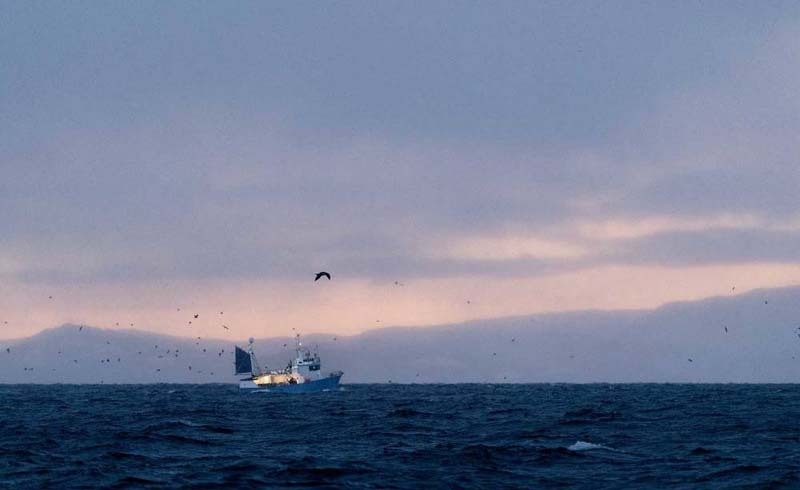 From the deck of a trawler out in the Norwegian fjords, the ocean looked deeply forbidding: choppy, black, and bone-numbingly cold. An expedition vessel used on Natural World Safaris’ orca-viewing trip. For the divers lined up on the prow, however, the conditions were perfect. 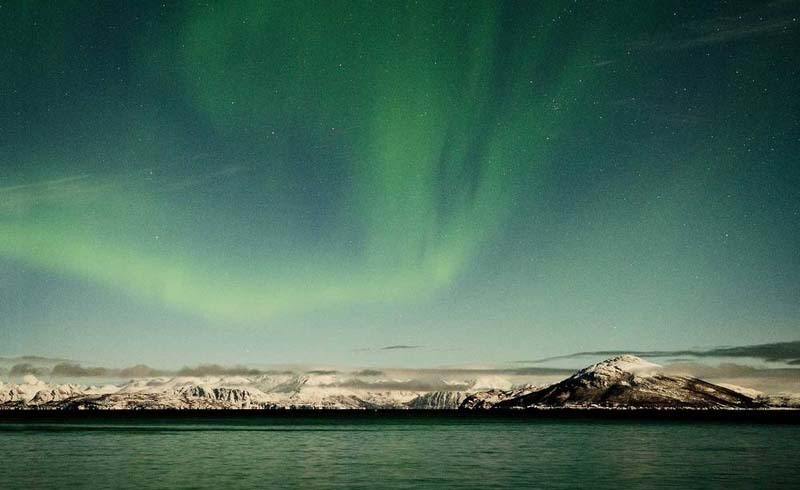 Under the surface, a pod of orcas had gathered, drawn by a shoal of herring that had migrated to this stretch of the Norwegian Sea that morning. The divers were about to swim with the orcas in their natural habitat, something few amateurs have experienced. One of them was Felix Odell, the Swedish photographer who shot the images on these pages. 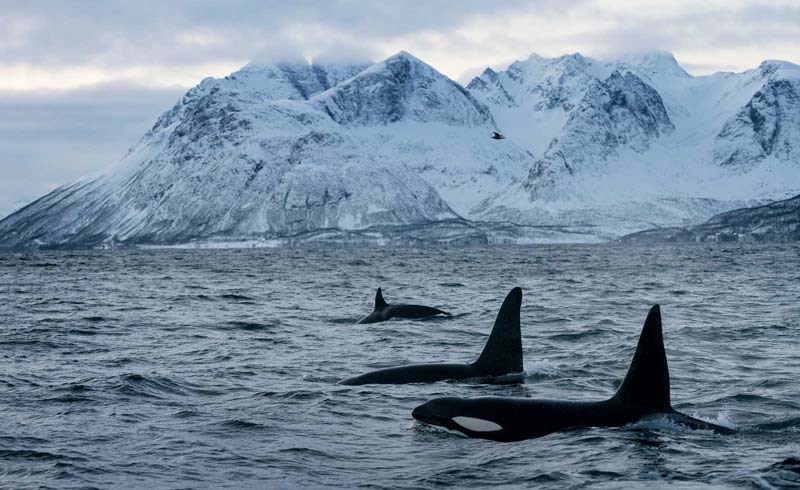 A pod of orcas off the coast of Tromvik, in the fjords of northern Norway. Naturalist and marine videographer Patrick Dykstra, who leads Natural World Safaris’ orca-viewing trip. Part of the dolphin family, orcas hunt for herring alongside their calves, working in family groups. A typical day aboard Dykstra’s vessel begins by figuring out where these orca pods are headed next, which can be an adventure in itself. The morning of Odell’s dive, Dykstra began by consulting several online resources, then hitting the phones. “Patrick has connections with fishermen in the area. He calls them to find out where the pods are each day,” Odell explained. Once Dykstra receives a tip, the race is on to reach the orcas’ reported location before they finish hunting and move on. “You have to be quick, because they can travel very fast. We got lucky that first day and located a group swimming around a fishing boat,” Odell said. An adult orca catches a herring on the surface of the Norwegian Sea. Of greater concern for him is the crisis facing the world’s orca populations. 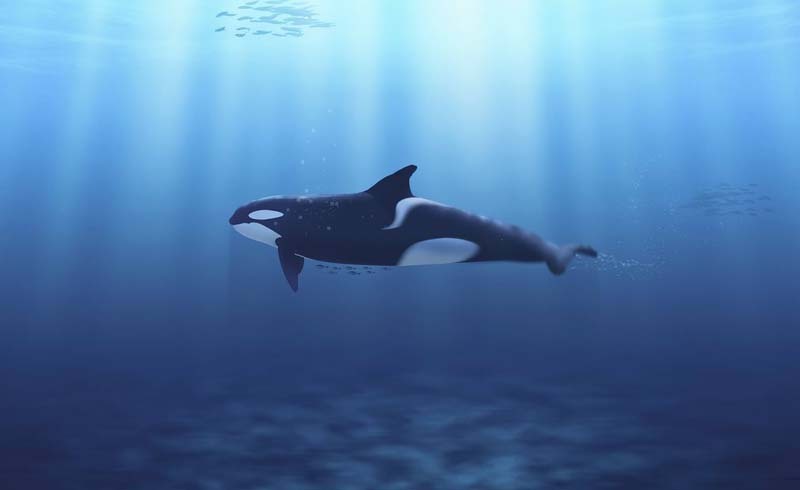 Orcas belong to a class of animals known as apex predators: they sit at the top of the food chain, so they take in massive concentrations of pollutants absorbed by smaller creatures. 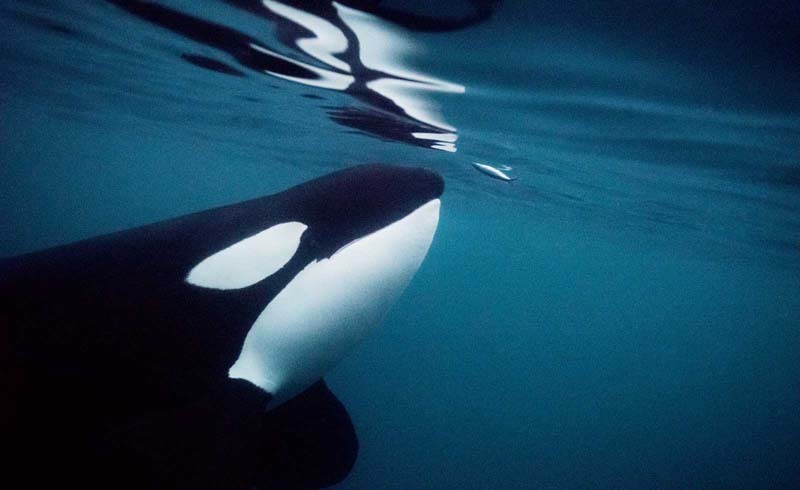 According to new research published in the U.K. journal Science, the world’s orca population could be reduced by half in the next 30 to 50 years. “There’s a real danger that these creatures will die out if nothing is done to save them,” Dykstra said. 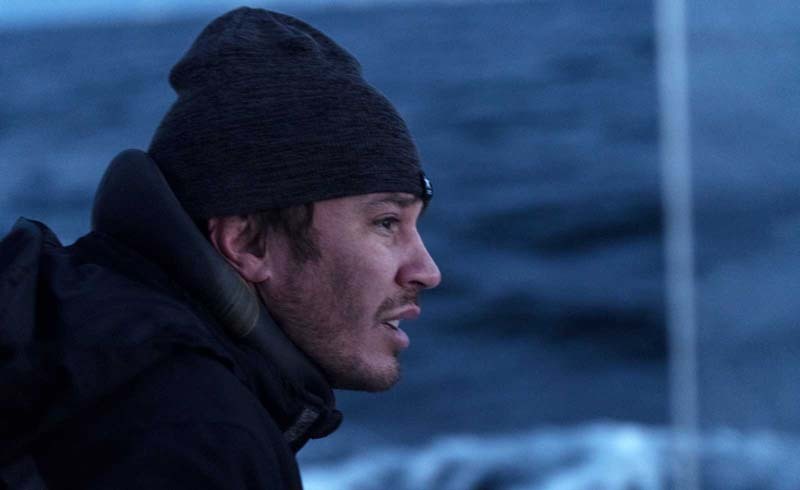 To that end, he works with researchers to collect DNA samples from Norway’s orcas, which are added to a database and matched with samples taken elsewhere to create population studies, monitor diet, and more. “It’s a huge help in understanding what’s going on with orcas right now,” he said. 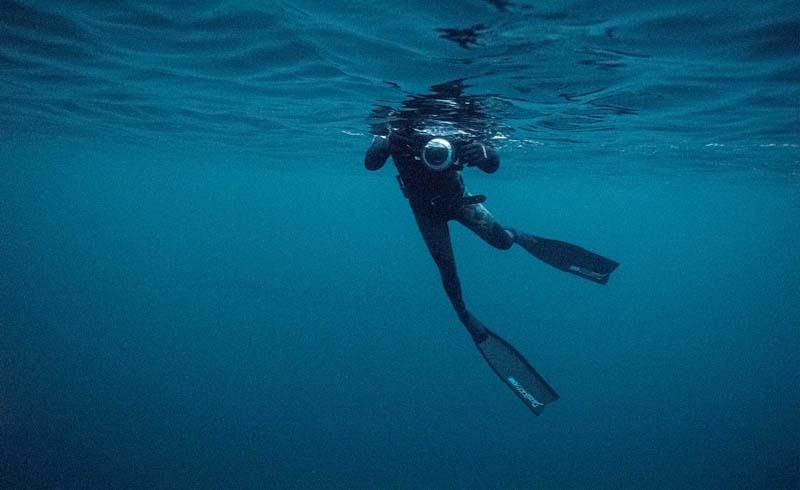 A diver uses an underwater camera to film the orcas as they hunt for herring.